Tonight, the Eyal Vilner Big Band is heading uptown! 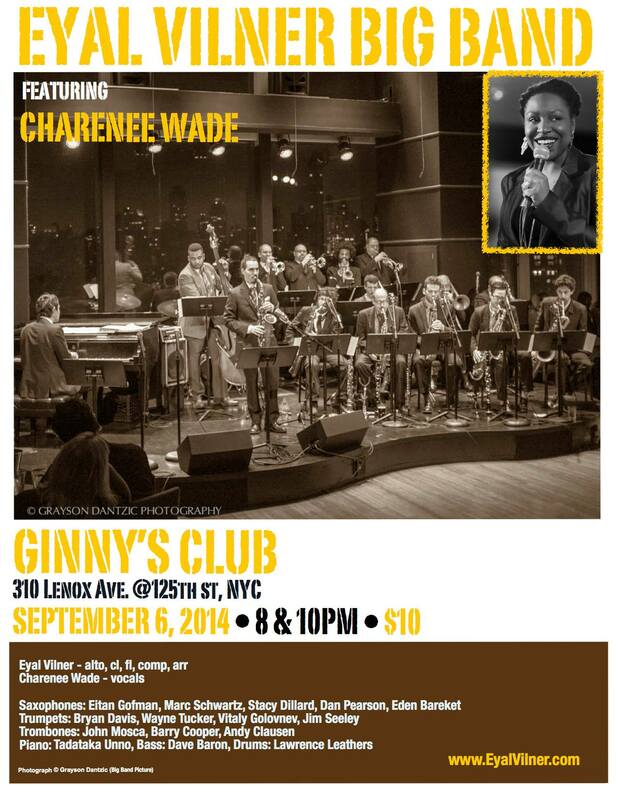 We make our Harlem debut at Ginny’s Supper Club @ the Red Rooster. For this special event, the band will be featuring the extraordinary vocal stylings of Charenee Wade. 2 shows, at 8pm & 10pm, and only a $10 cover charge. If you can’t come and party with us, please tell a friend! !